Туркин А. – Станция Мир- 41 0 out of 5 based on 0 ratings. 0 user reviews. Анисов А. – Из нави – 41 0 out of 5 based on 0 ratings. 0 user reviews. Филичкин А. – Резьба по камню – 13 0 out of 5 based on 0 ratings. 0 user reviews. Алаев А. – Разговор – 23 0 out of 5 based on 0 ratings. 0 user reviews. Алаев А . -Миграция – 56 0 out of 5 based on 0 ratings. 0 user reviews. 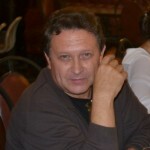 Авласенко Г. – Трусиха – 6 0 out of 5 based on 0 ratings. 0 user reviews.